These are versatile beads that open to clip anywhere on your chain or cord and hold tightly to prevent beads from sliding. Bead measures approximately 6mm wide and 11mm in diameter. 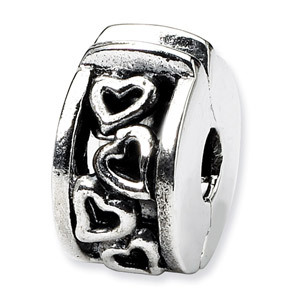 We guarantee our .925 Sterling Silver Hinged Hearts Clip Bead to be high quality, authentic bead jewelry, as described above.